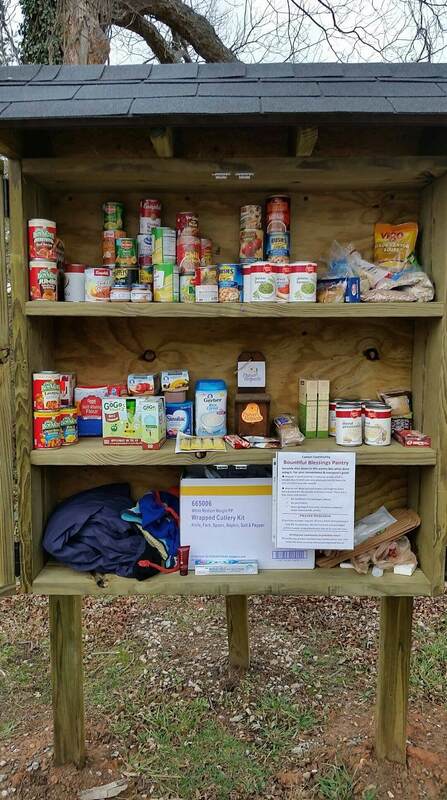 The idea of a Blessing Box, shared widely on social media, has inspired many congregations to take direct action to meet community needs. Amy Forbus describes how Blessing Boxes have energized churches in the Arkansas Conference of the UMC to provide for their neighbors in creative, participatory ways. The concept is simple: Stock a container with nonperishable food items, toiletries or other basic household needs that can withstand storage outdoors. Invite people to take what they need and give what they can. The Blessing Box phenomenon has been compared to the Little Free Library movement, which provides small cabinets of books for communities to borrow and trade. When a member of Dover UMC in Arkansas saw a post on Facebook that shared the idea of the Blessing Box, he sent it to his pastor. It turned out that a fellow church member had also sent her the very same photo that day. Pastor Roy Beth Kelley encouraged the church members to run with the idea. A family in the church found a small armoire in a thrift store that they thought would work as a Blessing Box. They sanded and painted it, adding lettering on the door as a finishing touch. Then they began stocking it with items. An effort that began with the church family has broadened to include nonperishable items donated by the wider community, such as canned goods and snacks left over from a local haunted house fundraiser in October. And the Dover church has found that the stock of their Blessing Box changes regularly, without their constant involvement. The anonymous place to receive food preserves the dignity of individuals who might be hesitant to ask for help. “Our church is right by a middle school and the football field, so kids are walking by twice a day,” says church member Patrick Brown. “And there’s a lot of hungry kids in Arkansas.” It’s not just food, either; there are hygiene products and other non-food items available too — even some children’s books, which tend to go fast, as do packages of diapers.” It’s just like shopping — people pick the things they like the best. In Fort Smith, Arkansas, two United Methodist churches have set up Blessing Boxes on their property. Rev. Dr. Michelle Morris, pastor of both churches, says that within the first two weeks of having the Blessing Boxes, people from both churches lost track of how many times the contents were replaced with new items. 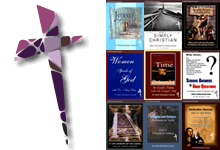 “The box at one of the churches gets filled and emptied about three times a day…. because we have a tremendous amount of foot traffic.” And not all of the food comes from the host churches. It’s an ecumenical, community-wide ministry, with different organizations and churches interested in helping to fill the boxes. Some call to get permission to contribute (which really isn’t needed), and others spot members in the parking lot and ask about it. Still others will post photos on Facebook when they stop by to stock the boxes, which helps spread the word about what’s being offered. Morris has learned much from watching the activity surrounding the Blessing Boxes. She has seen people trading food, not just giving or taking it. “My guess is they had either bought something they did not like or had been given something they did not like or couldn’t use, and rather than waste it, they have found a way to give it without looking ungrateful,” she said. “It also makes them partners with us instead of just recipients of charity.” She also has noticed that much of the giving and taking happens in the evening hours, possibly because people either appreciate the cover of semi-darkness, or they are stopping on their way home from work. And nobody is coming along and taking all of the contents in either location: “People do not appear to be operating out of greed, but instead out of need,” she said, noting that the anonymous place to receive food preserves the dignity of individuals who might be hesitant to ask for help. She also believes having such a consistent, community-based way to help others has contributed to a certain amount of spiritual revival in the congregations. The heavy use of the Blessing Boxes has created excitement. “My folks love coming up and sharing stories with me, and the energy to serve is pretty high right now,” she said. This article is adapted from a story the Arkansas United Methodist shared on the website of the Arkansas Conference of the United Methodist Church. It is used by permission. Amy Forbus is Communications Director at the UMC affiliated Hendrix College in Conway, Arkansas. She was previously the editor of the Arkansas United Methodist, a publication of the Arkansas Conference of the United Methodist Church.